Now I can imagine what cheating must feel like. Have I got your attention? Read on then, there’s much more to the statement than what you expect. We share a unique story with the car, as it picked us rather than us finding it in the process. A full year on since the purchase we’re road legal! YAY, a real success considering I almost lost all my hair and nerves during the process. German authorities… try and keep a distance! Everybody who knows Andru would expect that if we ever attempted to buy a classic car overseas it would surely be a Pagoda, and I agree. In saying that, Pagodas and classic Mercs have increased so much in value, and the Euro is so strong compared to the Dollar, that the family piggy bank just didn’t go that far. Pagodas in Germany are offered at around EUR 110-120k for a ‘driver’. At the beginning I was quite concerned what the SL Club Pagode members might think of us turning up in a Porsche. 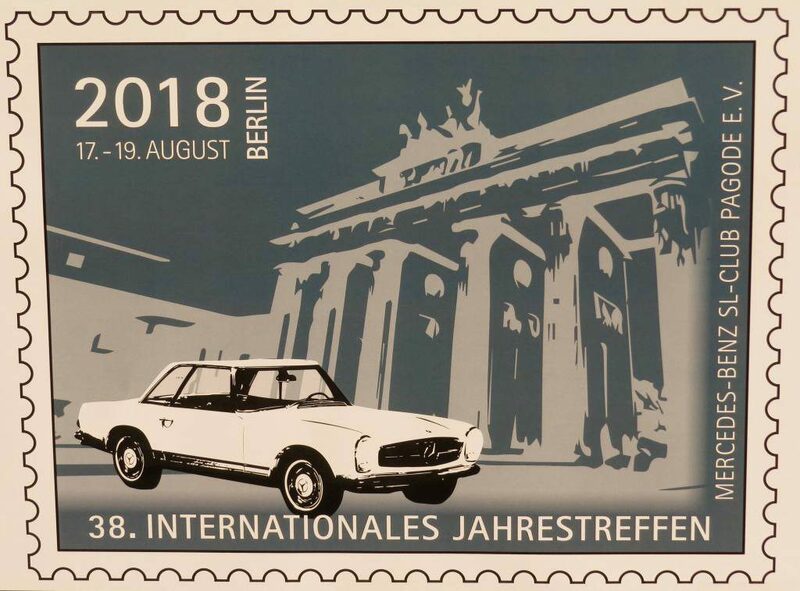 After last year’s ‘Once in a lifetime weekend trip through the Swiss Alps’, this year’s annual meeting took place in the centre of the legendary Berlin. 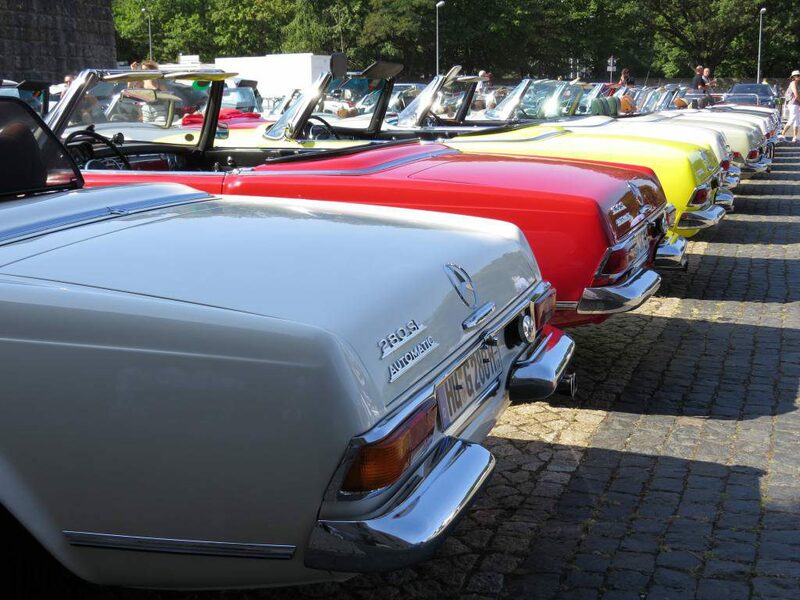 What can have me more excited than visiting one of the most vibrant and trendy cities in Europe and being able to reconnect with some of these wonderful classic car enthusiasts we met on our trip last year? To keep it short – NOTHING – I was beyond thrilled, ready to go. The European summer of the century had already ‘fried’ most Germans for more than three months in a row when the dates for the annual meeting approached. 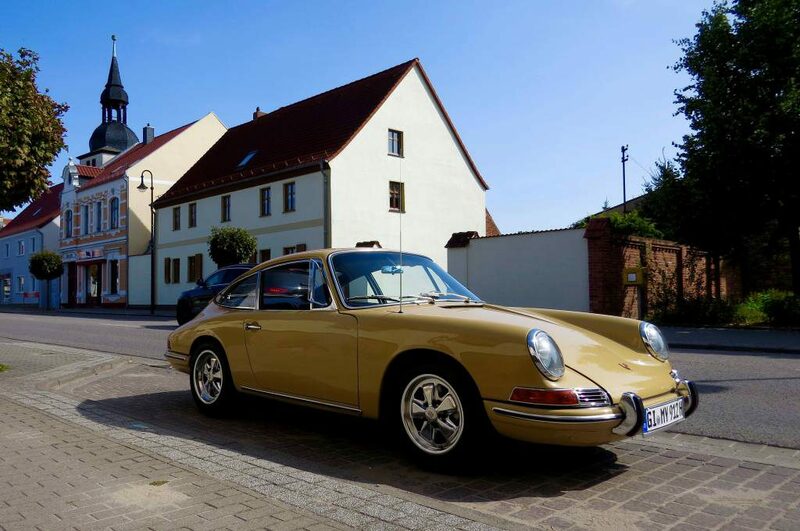 And the weather wouldn’t disappoint… only the light breeze through the quarter-light windows in the 912 stopped us from melting away on the vinyl seats on the way to Berlin at 32C. It was almost a wonder we made it there in one piece. 650kms from home with a car that hadn’t been driven for several years, just reinstated to meet the German TUV requirements (warrant) and a non-functional generator. Let’s say I was pretty stoked to see the last kms ticking down on the GPS! Once we passed the Berlin city sign, I was relieved – we were a ‘towable’ distance away from our destination. On the bright side, is there a better place to break down with an old car than in a 4* hotel in the middle of Berlin? I was sure we wouldn’t run out of entertainment in this city in case we had to stay a little longer. The miracle happened and we actually made it to the hotel – I couldn’t believe it! The generator lamp had been on for the last 450kms and we still managed to get there. I felt blessed and lucky. After we completed our arrival and check-in process, we enjoyed the sound and the view of Pagodas arriving in almost 5-minute intervals. Just like last year, more than 150 Pagodas would take part in this year’s event. Incredible to know we were part of it. As the underground garage of the hotel filled with Pagodas, we received the event plan for the weekend. 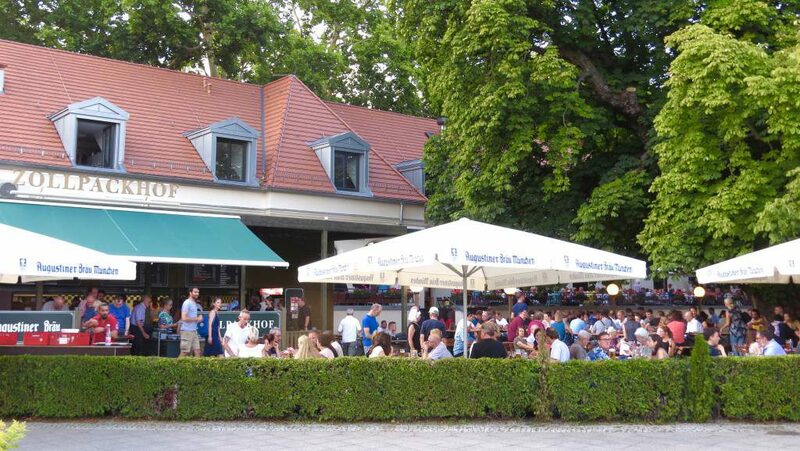 A lovely dinner at one of Berlin’s best located beer gardens right across from some of Germany’s most important buildings; the Chancellor’s and Parliament buildings were first on the list. 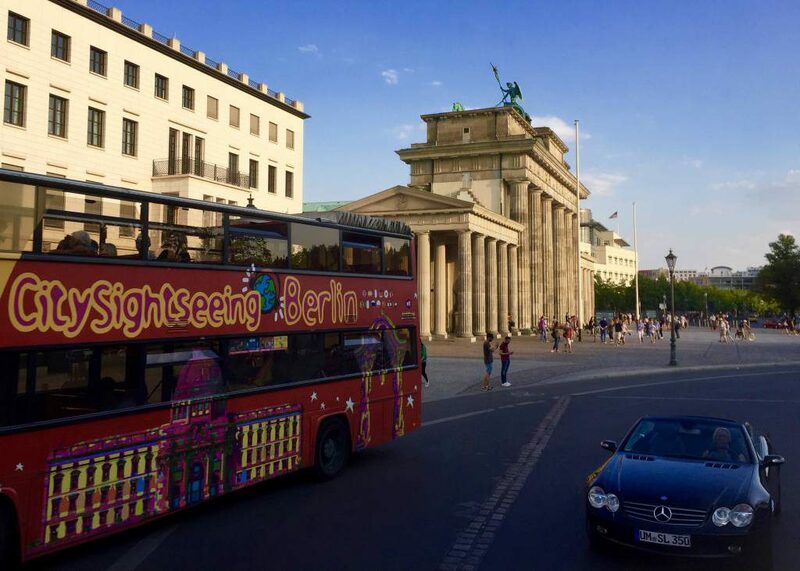 A bus brought us there – Mercs and sights on every corner! Already, on this first day, we realised how many police were present everywhere in the city. There was no option to get away with breaching parking rules without receiving a fine or not being told off crossing the road without using the lights. The feeling of having to follow the law was very much in our face. Something I have not seen in this intensity anywhere else. I guess this is what living in a European city brings in times of terrorists and political uncertainties. The second day was packed with action and a lot of Plan B’s. Only we didn’t know that initially. 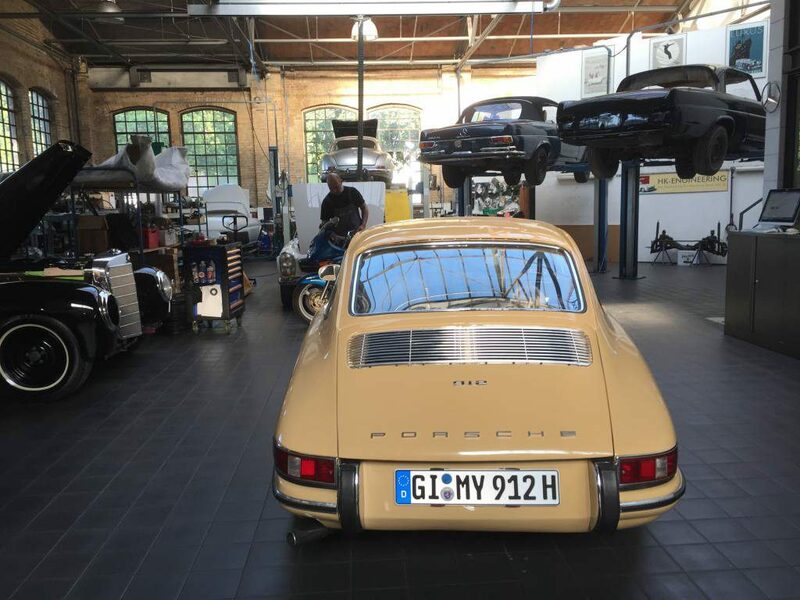 The first analysis of the Porsche’s broken generator at the prestigious Merc restoration specialists ’HK Engineering’ at the Classic Remise in Berlin – a location used by classic car owners, garages and restorers – had shown that we needed a completely new unit and that it wasn’t going to be available until the start of the following week. What a bummer! Stuck in Berlin for a few more days spare with no car to drive on today’s rally. After we got over the initial disappointment, we decided to come up with a Plan B – we knew we had to make this happen somehow. 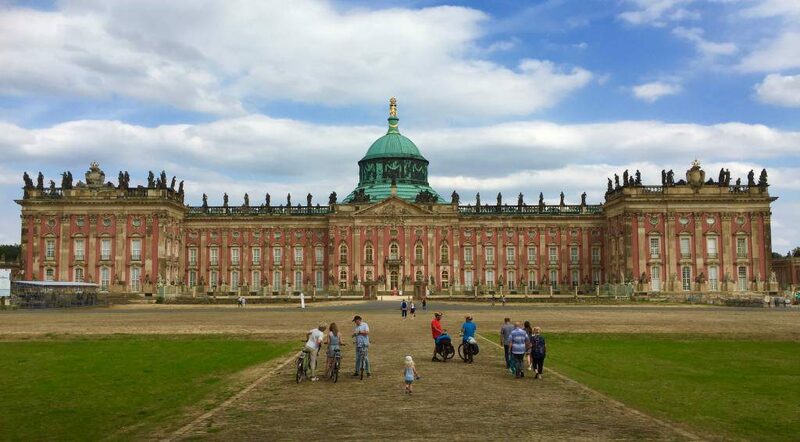 We definitely didn’t want to miss today’s run to the world-famous Palace Sanssouci located at the outskirts of Berlin. Michael and Janine, our dear friends from Lake Constance, were up for another surprise and handed us the key to their Pagoda. We were stunned! 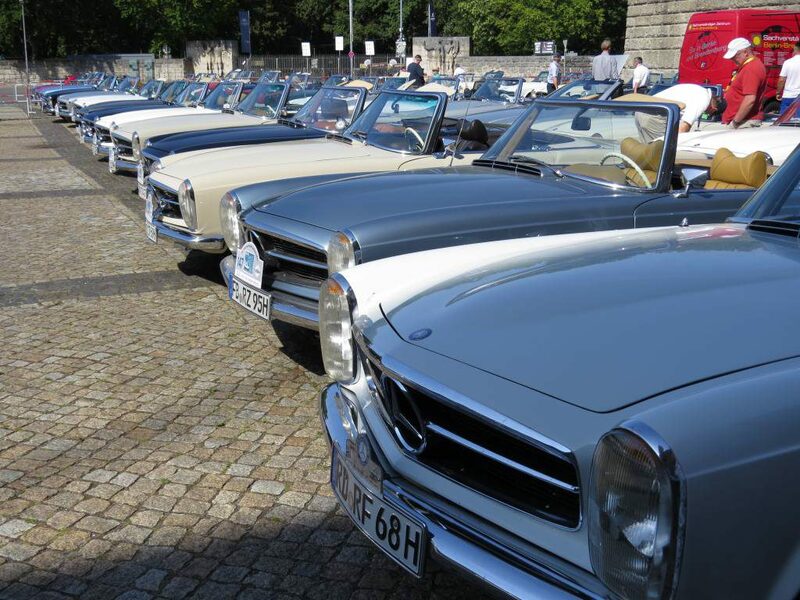 Would this fairy-tale experience of driving a Pagoda on German/Swiss roads be repeated for us? If I may say, yes, for the first 5 kms. It all abruptly ended though when a VERY grumpy German policeman on his way home from work started screaming at us through the window of his car while driving, that we needed to pull over IMMEDIATELY, otherwise we’d be doomed and chased by the German police for having little Joe travelling non-restrained in the Pagoda. My heart rate was at breaking point and my hands were shivering. 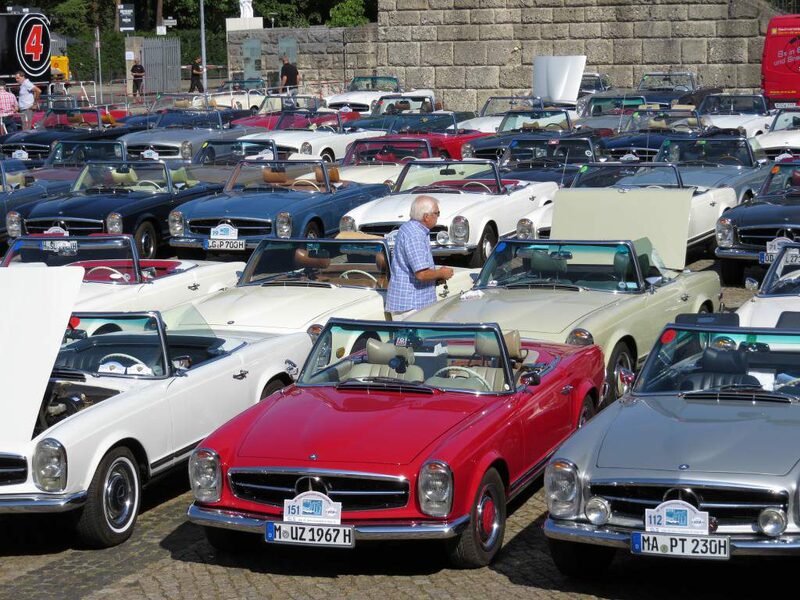 Andru felt like the new Steve McQueen – trying to keep control of a 200k car that wasn’t ours, on busy Berlin roads on the wrong side of the road, while concentrating on how best to avoid being locked up in prison on our holiday. We stopped and waited for the policeman to disappear from sight before we secretly sneaked back to the hotel, hiding Joe from any further views to the outside world. Almost locked up in Berlin – guess that would have cost us less than the extension to the hotel reservation required to fix the generator. Gosh, maybe we should have taken up the invitation. Ok, so Plan B failed, what next? I was determined not to give up. An hour later we were on our way chasing the rally in a dirty Ford Fiesta we rented for EUR 150 (burglars!) for the day. We caught up with the group at the first stop, the Beerlitz hospitals. A wonderful historical area that showcases countless hospital buildings deteriorating naturally in the woods. A surreal place. Palace Sanssouci was worth the visit despite it being a short one. I was so proud we still made this day happen. A ‘cheers’ to Plan C.
It was an extraordinary last day for this event. 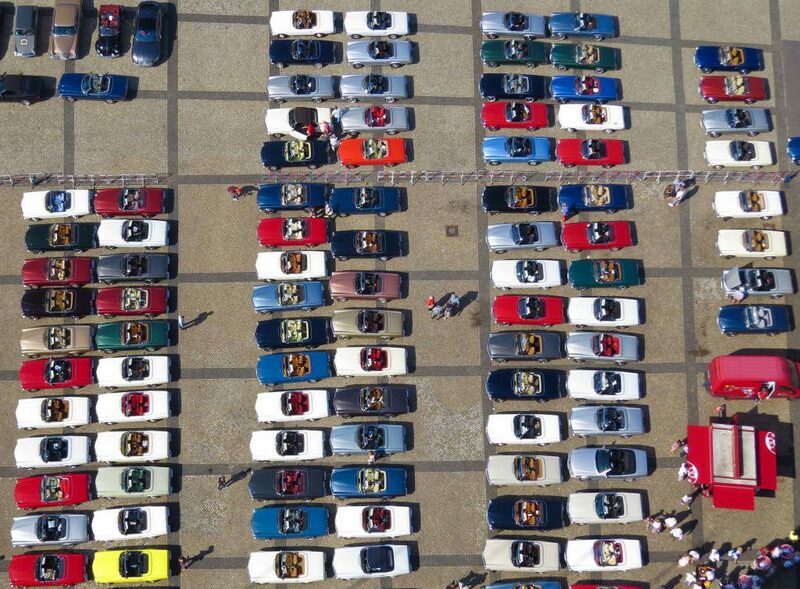 150 Pagodas all lined up – the view from the top of the Olympic tower onto the never ending line of cars. Absolutely unique to be part of this wonderful event. Besides reconnecting with some of the lovely people we were lucky enough to meet last year, we also made a lot of new friends and got to play a part in presenting next year’s event in Mannheim near Frankfurt to the club members. Lots of stage presence for the Pagoda Kiwis from New Zealand. 2019 is going to be our year, helping friends making Pagoda history for the greatest annual event in the history of the club – haha. EUR 1,000 in hotel costs and multiple days later the following week, we were rolling again. The generator was finally fixed. We loved every minute of our big city adventure and would not have wanted it to have gone any other way. And the moral of the story is ‘always to have a Plan C’ or a spare generator on hand, and that cheating may involve a great story once there is a classic Porsche involved.